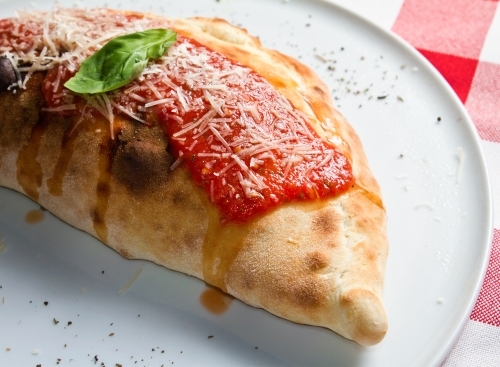 Enjoy this delicious calzone recipe. Simple bread dough wrapped around sauteed sweet peppers, onions and sausage. Great to eat and fun to make Mangia Italiano!